BMW just dropped details on the revamped i3 ahead of its official debut in September. Updates include a new look and a wider stance, breaking a bit from the upright boxy look used before. Full LED headlights keep the road lit, while Melbourne Red Metallic and Imperial Blue Metallic were added to the exterior paint options. Inside is the iDrive 6 infotainment platform, while Giga Brown Natural Leather and Carum Spice Grey Cloth can be had for the upholstery. A full suite of safety systems keeps it appropriately techy. Underneath is a lithium-ion battery and electric motor, which together produce as much as 170 horsepower and 184 pound-feet of torque through a single-speed transmission. The sprint from 0-to-60 mph takes 7.2 seconds, with top speed clocked at 93 mph. If you’re looking for more go, the new i3s might fit the bill. Outside, the styling gets a bit more aggressive, with 20-inch wheels and a lower, stiffer suspension. 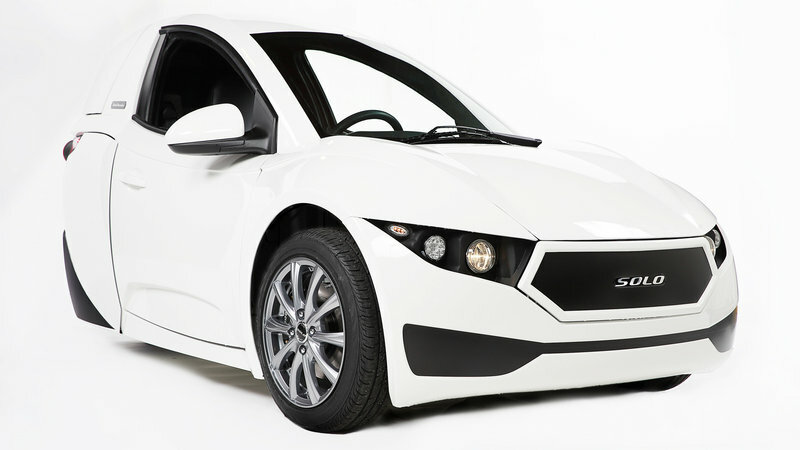 More importantly, the s gets additional electric ponies – up to 184 horsepower and 199 pound-feet of torque total. Flat out, the i3s can hit 60 mph in 6.8 seconds and reach a top speed of 100 mph. Like the regular i3, the i3s can also come equipped with a two-cylinder range extender if desired, adding almost 90 miles thanks to gasoline. 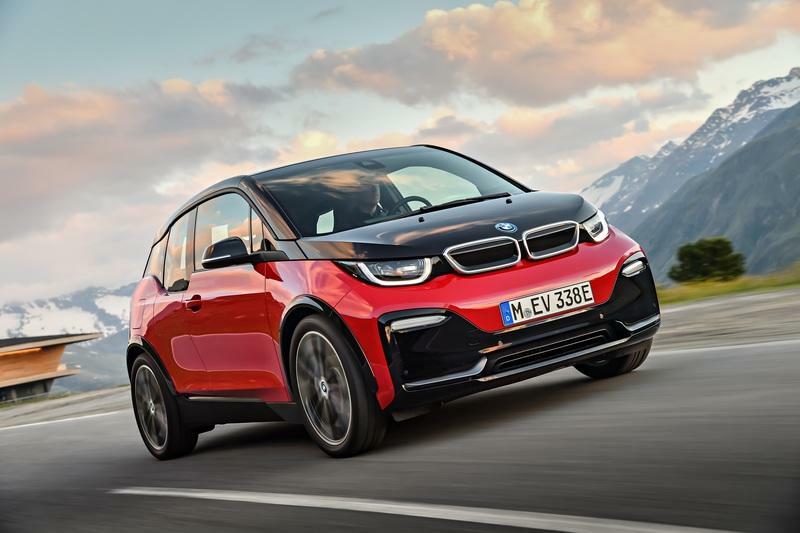 Look for the i3 and i3s to debut in the metal at the Frankfurt Motor Show next month. Expect exact pricing and further details at that time. 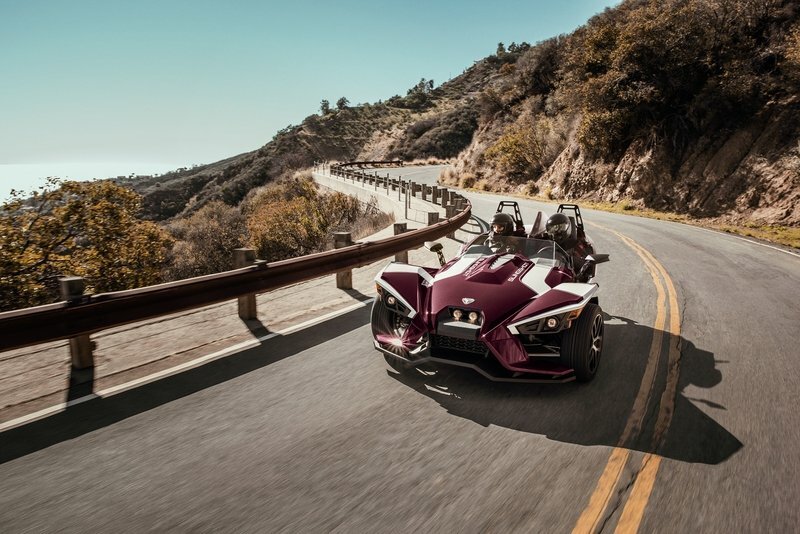 Originally launched in 2014, the Polaris Sligshot is an open-top three-wheeler joy rider that seeks to find a happy middle ground between street bike exhilaration and roadster-esquecomfort. It’s an interesting proposition for anyone unwilling to go full-on moto style, but still craving a bit of that in-the-elements thrill. As such, there are twin wheels up front for stops and turns, plus a single, larger wheel in the rear providing the motivation, plus a dearth of body panels for maximum exposure in the double seats. Three trim levels are offered, and now, Polaris has announced a new special edition iteration of the mid-grade SL line. It’s called the SL LE Midnight Cherry, and it’s packing new paint, upgraded “touring” graphics, and specially padded foam bucket seats. So then in one sense, the Slingshot SL LE Midnight Cherry is like a trike grand tourer. Complementing this perspective is a plethora of options, such as abundant side storage, overnight bags for the driver and passenger, upgradeable interior trim, and available all-weather covers. The Slingshot SL Limited Edition Midnight Cherry will hit dealers this month. Pricing is set at $26,999 across the nation and $27,299 in California, which is $1,500 more than the standard Sligshot SL model. Read on for further details. Continue reading to learn more about the Slingshot SL Limited Edition Midnight Cherry. Coming straight out of Canada is a new and innovative take on the EV that is aimed at making EV ownership simple, fun, and affordable. Meet the Electra Meccanica SOLO. Powered by an all-electric drivetrain and riding on three wheels, this funky little city car is the work of Jerry Kroll, formally of KleenSpeed Technologies, and Henry Reisner, the President of Intermeccanica Inc. Featuring a striking exterior design, an interior suited for just one person, and an 84-horsepower electric motor, this EV isn’t aimed at combating the Tesla Model S, or even the Nissan Leaf. Instead of attempting to replace your gas-guzzling family hauler, the SOLO is all about personal transportation and making your daily commute simple and efficient. Now, by saying “heck of a good time,” he’s not insinuating that you’ll outrun most of the sports cars out there, but it does hit 62 mph in about eight seconds, which really isn’t bad for a car with one-wheel drive and 84 horsepower, right? On top of this, it also has pretty modern technology inside that includes an LCD instrument cluster, Bluetooth, and USB connectivity, and there’s even a rear-view camera system. It’s really not that bad for a vehicle with a sub-$20,000 price tag. But, there’s a lot more to talk about than the few tidbits we’ve discussed here, so let’s dive on into the world’s newest, single-seater, EV. The Smart Fortwo is a funky little city car that has a rear-mounted engine, two seats, and a hatch. To put it simply, it’s nothing more than a cockpit on wheels, but in busy, crowded cities, the car is perfect for those who can manage to fit in it. Originally introduced in 1998, the car has seen two generational changes with the most recent coming in the 2014 model year. For 2016, Smart introduced the convertible or Cabriolet variant that ditched the rear hatch for a retractable top. For the most part, the Fortwo is a pretty simple car. It is available with two different three-cylinder engines that deliver between 71 and 90 horses and can be equipped with a five-speed manual or a dual clutch automatic. For such a tiny car, the interior is actually rather spacious, and it has a certain level of luxury too. 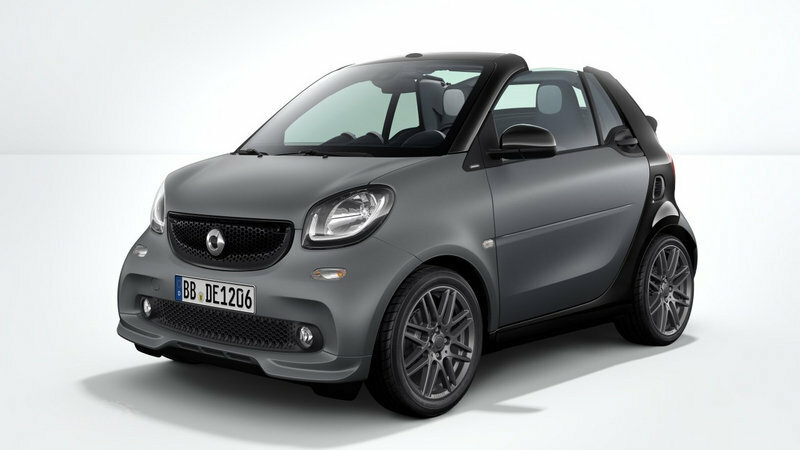 Now, with the 2017 model year right around the corner, Brabus is offering a new Sport package for the Fortwo Coupe and Cabriolet that promises to bring a new level of customization to Smart customers everywhere. It is said to bring “unique styling and a sportier driving experience,” but it is a micro city car, so I’m not really sure I’m comfortable using words like “sport” in that context. Of course, I’m pretty critical about what automakers and do to their vehicles, so before I get too far ahead of myself, let’s take a good look at this new sport package and what it brings to the table. A cool little concept that could change the world of city cars forever. Russia has been the source of creation for a number of rather odd vehicles. Vehicles like the GAZ M-20 Pobeda-Sport, the ZIS-112, or the Torpedo-GAS from the early 1950s are just a few examples of some pretty bizarre Russian engineering. But now there is a new concept coming out of Russia that might give the term “Russian engineering” a whole new twist. 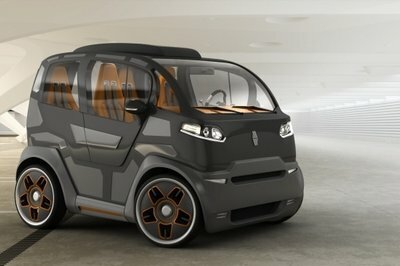 The concept is called the Mirrow Provocator and it’s a “revolutionary car” that is the length of a Smart ForTwo but capable of hauling up to four people and their luggage. The Mirrow has the same width and height as an SUV, but the length of a microcar. Be that as it may, Mirrow claims that inside the car “feels like a minivan” and could be “classified as a business car.” Regardless of whether or not that is really the case, the Provocator looks to be extremely versatile, with the ability to be equipped a number of different drivetrains and a number of different interior setups that can transform the vehicle into more than just a people mover. Truth be told, the Provocator is probably the boxiest thing on wheels that we’ve seen since the first-generation Honda Element or Scion Xb, but it’s got some pretty cool things going on for it. That said, we decided to take a closer look at this Russian concept to see what it’s all about. Keeping fossil fuel alive with an 89-mpg microcar? With automakers such as Tesla already selling reliable, fast, and quick-charging electric vehicles, and numerous companies moving closer to launching mass produced hydrogen cars, the industry makes small but firm steps toward phasing out fossil fuels. Sure, it won’t happen anytime soon, but the number of gasoline and diesel powered vehicles could decrease dramatically in a couple of decades. This a scenario that frightens many gas companies, including Shell, which has just unveiled a concept car that aims to prove fossil fuels can still be used efficiently with backing from the right technology. 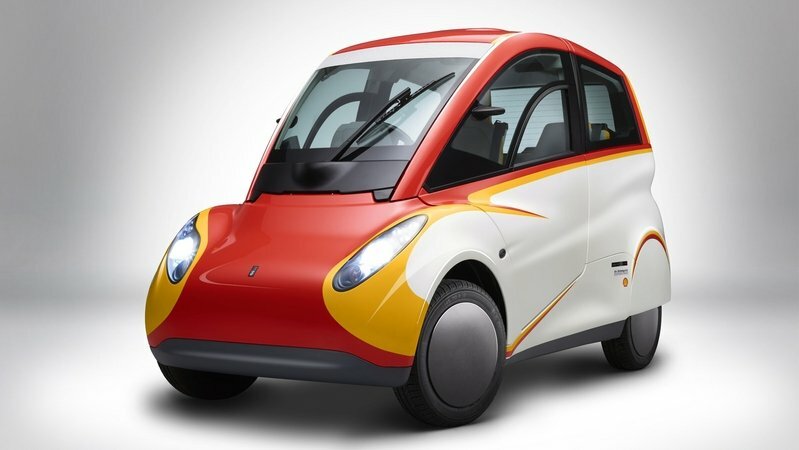 Developed from Gordon Murray’s (yes, it’s the same man that designed the bonkers McLaren F1) T25 city carof 2010, Shell’s microcar revives the "bubble car" concept of the 1950s. It’s small and light as a feather, but unlike the BMW Isetta, it was built using modern materials and promises to return outstanding fuel economy. Although the vehicle is still in its conceptual phase and plans for a production model have yet to be revealed, Shell believes that its new microcar will revolutionize transportation. "This is a significant automobile engineering milestone. I’m very proud of what Shell’s scientists and their partners at Geo Technology and Gordon Murray Design have achieved. Insights gained from this project could be transformational in terms of how we address energy use in the road transport sector. Energy use and climate change are major issues for society. This project shows that if we use the best of today’s technology, including cutting edge lubricants science, we could potentially have a major impact on energy use and reduce CO2 emissions," said Mark Gainsborough, executive vice president of Shell. It remains to be seen whether Shell’s concept car will make it into production and make an impact on the industry, but until the oil company releases further details, we will have a closer look at what we already know about this modern Isetta. Continue reading to learn more about the Shell Concept Car.